She has challenged faith communities to look beyond themselves and to keep an eye focused on the edge where God is at work. Bishop Harvey also has a passion for young people as they lead the church into a future filled with possibilities. In connection with her Episcopal assignment, she serves as the President Designate of the Council of Bishops, having served as the Secretary of the Council of Bishops 2014-2018. She also serves on the Boards of Trustees for Centenary College, Dillard University, and Southern Methodist University, and The Perkins School of Theology Executive Board. Bishop Harvey is the Vice-Chair of the Commission on United Methodist Communications for The United Methodist Church is a board member of the United Methodist Foundation of Louisiana and President of the Louisiana Interchurch Conference. After graduating from the University of Texas in Austin in 1980, Bishop Harvey spent 12 years in the corporate world as a regional director of marketing for the Rouse Company, a shopping center developer with properties throughout the United States. She focused on properties in Texas, Colorado, Arkansas and Louisiana. Harvey went on to serve as associate pastor for The Foundry United Methodist Church in Houston from 1992-1996 and as executive pastor for Memorial Drive UMC in Houston from 1996-2008. She then moved to the position of Director of Missional Excellence for the Texas Annual Conference, serving from February of 2008-May 1, 2010. Just prior to her election as a United Methodist bishop during the 2012 South Central Jurisdictional Conference, Harvey served as Deputy General Secretary for United Methodist Committee on Relief (UMCOR). She is a graduate of Southern Methodist University, Perkins School of Theology in Dallas, where she earned a Masters of Divinity. 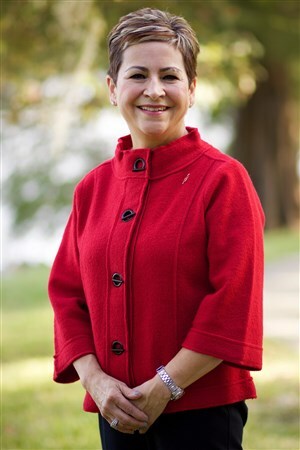 Bishop Cynthia Fierro Harvey was born on May 5, 1959 in Big Spring, Texas. She and her husband, Dean Alan Harvey, were married in 1981. Dean is a financial advisor and owns his own firm. Their daughter, Elizabeth Grace Harvey Reames is married to Tyler Reames and they make their home in Dallas.